This App is currently not available we are looking into an alternative. The Application is called JumiOne available from the Apple App Store or Google play, it allows you to control your PC remotely via a Wi-Fi connection. 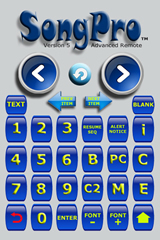 You can also use it as a remote keyboard or remote mouse for your computer. 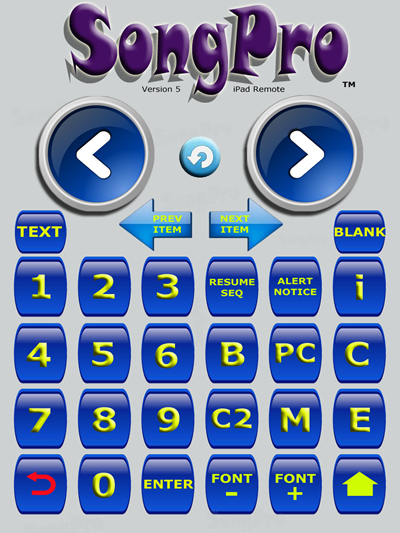 JumiRemotes have made controls customizable so we decided to develop some SongPro configured screens and have them available to download for FREE to import into your application, or of course you could make your own. 1) An iOS device with iOS6 or above or an Android device with Android 2.2 or above. 3) A Windows PC with SongPro. Click here for setup information.